In the Ogaden region of southeastern Ethiopia there is a camp of approximately 10,000 souls. Officially Ethiopian but ethnically Somali, they are not classified as refugees but as Internally Displaced Peoples, or IDPs, and thus live without even the marginal assistance that the UN can offer. The number of IDPs worldwide is far greater than is widely known, and far greater than that of officially recognized refugees— IDPs number near the population of Canada. Africa’s tragedy lies not just in corruption, poverty, wars, droughts and famine, as if they were not enough. It lies also in the profound inability of Western societies, desperate to help with or without their politicians, to understand tribal and nomadic claims to the land. 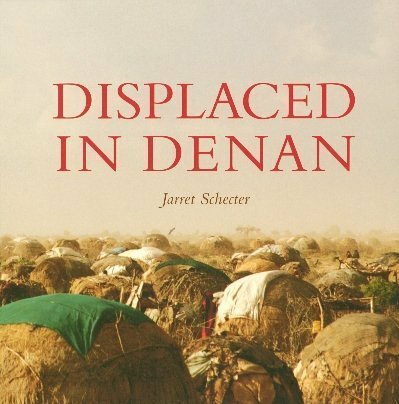 Jarret Schecter’s Displaced in Denan is a record of the camp in Ogaden and the efforts of a small town in Connecticut to help the people there: it ends in hope that individuals can overcome bureaucracy.